Looking for a compact SUV that can fit the whole family plus cargo, tackle rough roads and weather conditions and has amazing fuel efficiency? The award-winning 2017 Subaru Forester in Kansas City is the whole package with some added benefits too! This best-seller is equipped with the latest technology and innovative safety features all at an affordable price. 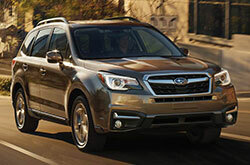 Continue reading our comprehensive review to learn everything the Forester has to offer. All models of the 2017 Subaru Forester in Kansas City are all-wheel drive, ensuring the car can handle testy road conditions and rough terrains. 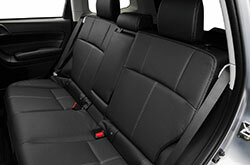 Innovative SUBARU BOXER technology reduces engine vibrations and improves body balance for an overall smoother ride. The SUV comes with two engine choices. The lower grade 2.5i models have a 2.5-liter 4-cylinder engine that makes 170 horsepower. The engine is mated with a 6-speed manual transmission or an optional CVT. 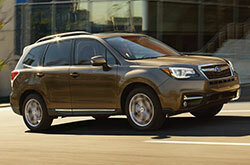 The higher grade 2.0XT models boast a 2.0-liter turbocharged 4-cylinder engine that generates 250 horsepower. Paired with it is a CVT that utilizes the Subaru Intelligent Drive system technology, meaning it can be reprogrammed to act like a 6- or 8-speed automatic. 2.0XT models also have shift paddles. The Forester is one of the best in its class for fuel-efficiency with a 28 mpg combined on manual transmissions and 25 combined on CVTs. 2017 Subaru Forester reviews note the compact SUV's history of being one of the safest vehicles in its class. 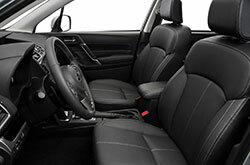 Seven standard airbags and an energy-absorbing high-strength steel frame offer great cabin protection in the event of a collision while the Forester's vehicle dynamics promote increased stability. Higher trim models come standard with the EyeSight Driver Assist system, an around-view color camera that monitors surround traffic. Higher trim models also feature additional safety features such as blind spot detection with rear cross traffic alert and reverse automatic braking. Schedule a test drive at our dealership today to try out these amazing features for yourself! The esteemed 2017 Subaru Forester should be on your shopping list, especially if you've been on the hunt for the 2017 Hyundai Tucson, Mazda CX-5, Ford Escape, GMC Terrain and the Chevrolet Equinox near Kansas City. You could find that it entirely accommodates your unique needs, with its great cabin features and other favorable aspects. Once you're finished with our 2017 Subaru Forester review and compare page, check out hot-off-the-press Subaru finance and lease offers. When you visit our Subaru dealership, you'll find offers on a truly expansive selection of new and late-model-year used cars, including offers for the crowd-pleasing Subaru Forester. It's paramount to make a knowledgeable choice when selecting a car, and we hope our 2017 Subaru Forester review helps when it comes to this. 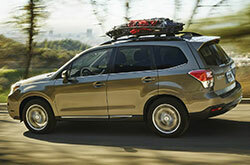 Our inventory of beautiful Subaru Forester models in Kansas City, MO is gigantic. 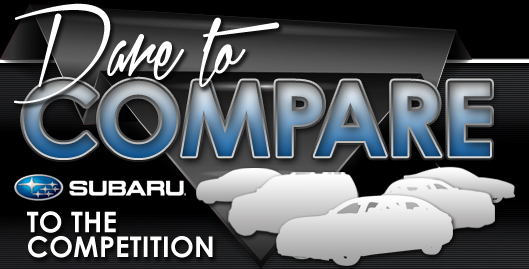 Schedule a test drive and come take a glimpse at our lineup. For those who are anxious to see it now, we've enclosed a video that spotlights its cabin amenities.